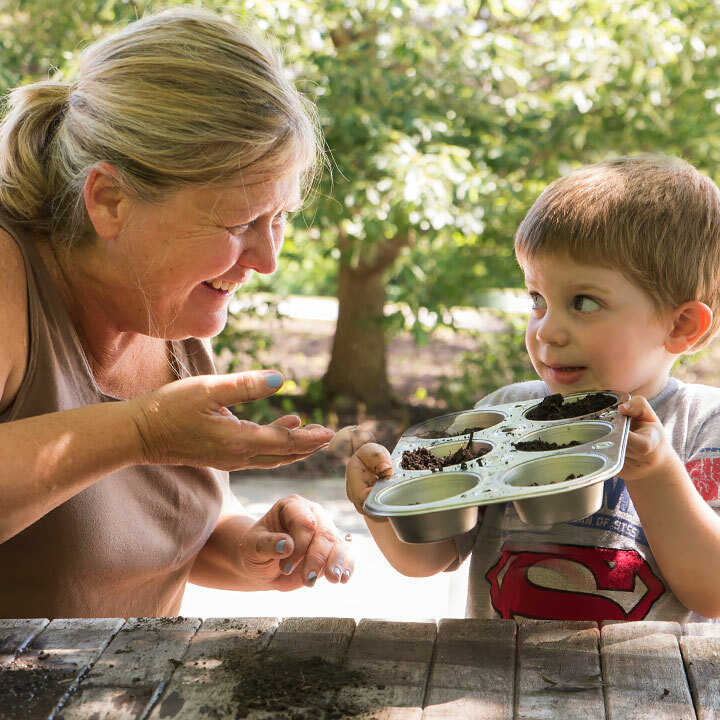 The Chicago Botanic Garden’s nature-based, developmentally appropriate preschool provides a unique learning experience for 3- to 5-year-olds. The emergent curriculum focuses on exploration and discovery in nature each day. The curriculum promotes learning and prepares children for kindergarten as they develop an appreciation for the natural world. Nature Preschool Open House: April 13, 2019 come visit the school and meet the teachers. Free, preregistration suggested. How is a nature-based preschool different from a traditional preschool? The natural world is the catalyst for the curriculum. Daily time spent outdoors in all weather (approximately half of the class time) allows for discovery in an ever-changing environment. Discovery-based learning includes a hands-on approach to education. Time is built in for children to observe, explore, discover, and reflect in learning activities. Please note: All children must be fully toilet trained before attending classes. Nature Preschool is a member of the Alliance for Early Childhood and a member of Natural Start Alliance. Class Time: 9 – 11:30 a.m.
tuition: $3,150 or $2,520 with Garden Plus Membership; payable in four installments. tuition: $5,344 or $4,275 with Garden Plus Membership; payable in four installments. Class Time: 12:30 – 3:30 p.m.
tuition: $3,563 or $2,850 with Garden Plus Membership; payable in four installments. Class Time: 12:45 – 3:45 p.m.
tuition: $7,125 or $5,600 with Garden Plus Membership; payable in four installments.